we know that a shower of green is always welcome. 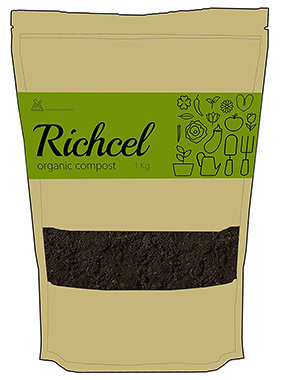 earthy, Richcel compost is made from the leftover goodness of kitchen waste. sure to your garden a happy and healthy place. waste from getting dumped at a landfill ! Frequency : Preferably once in a month. How to store & handle? Keep the contents inside the zip lock pouch.